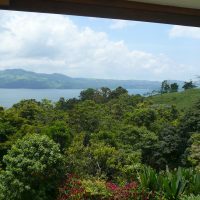 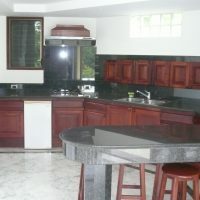 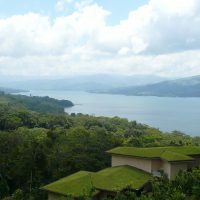 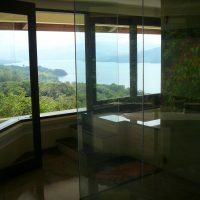 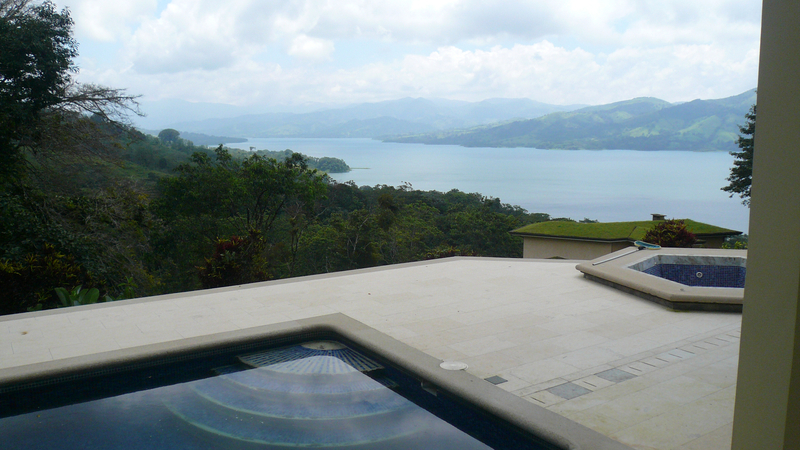 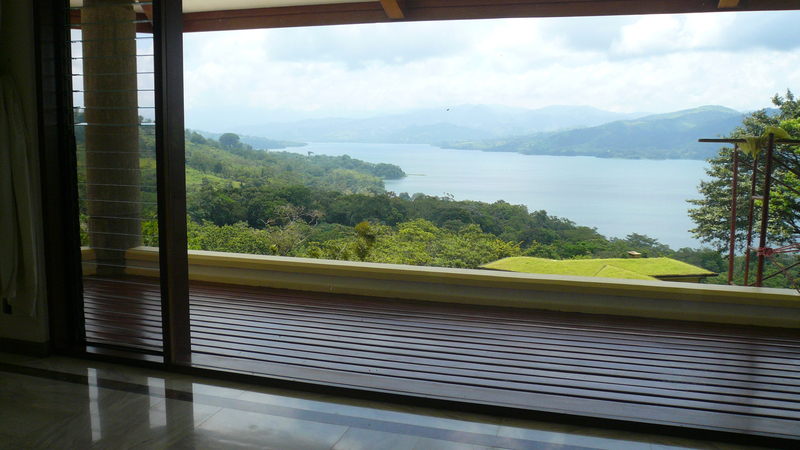 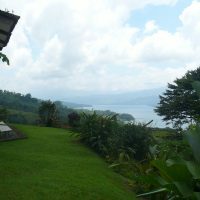 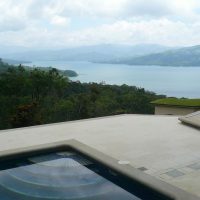 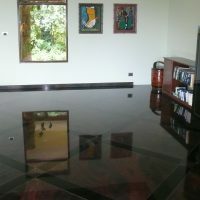 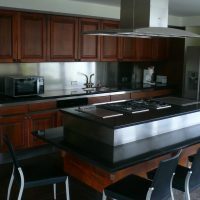 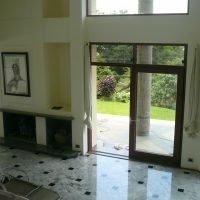 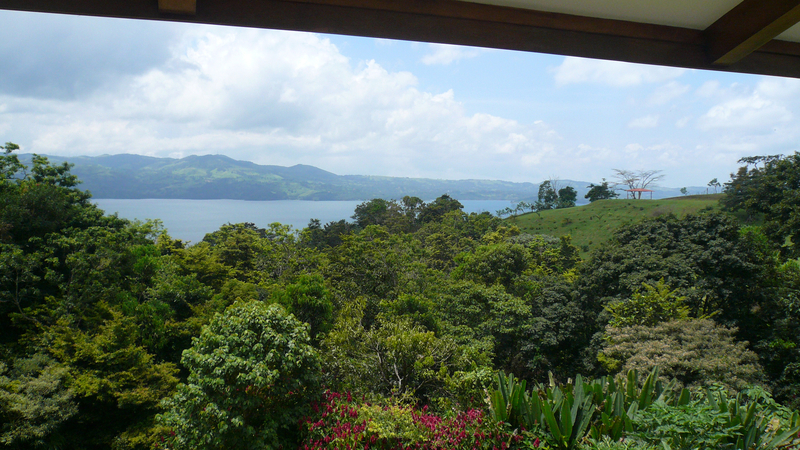 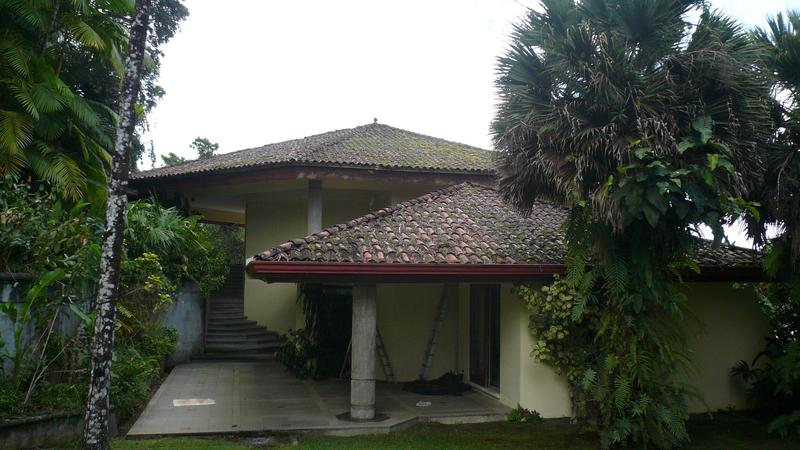 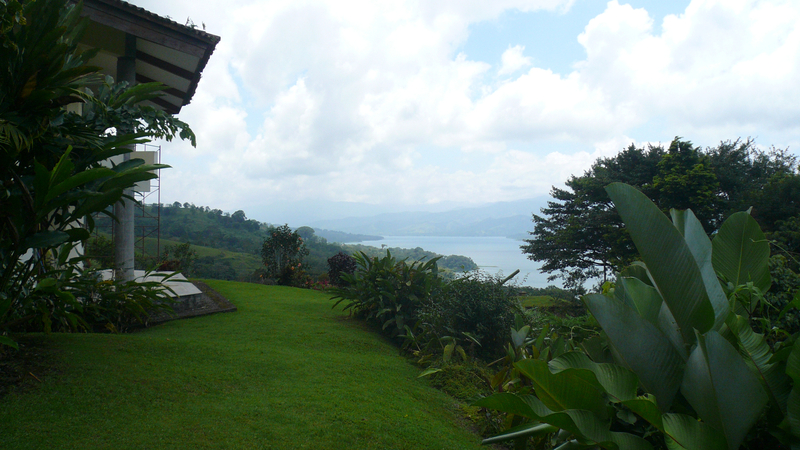 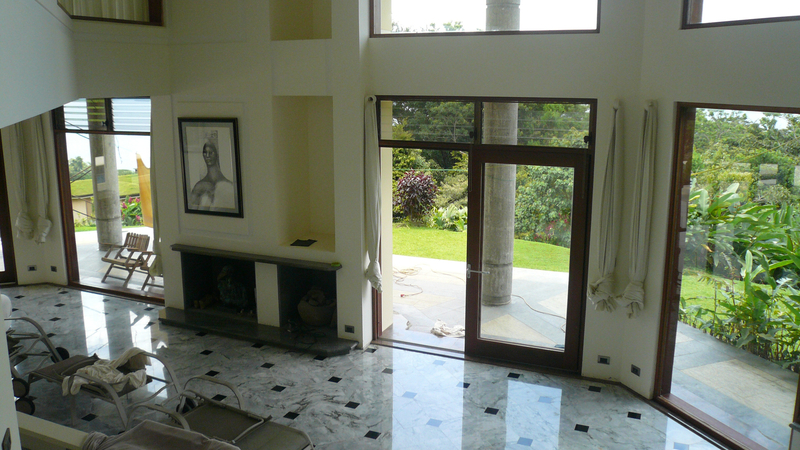 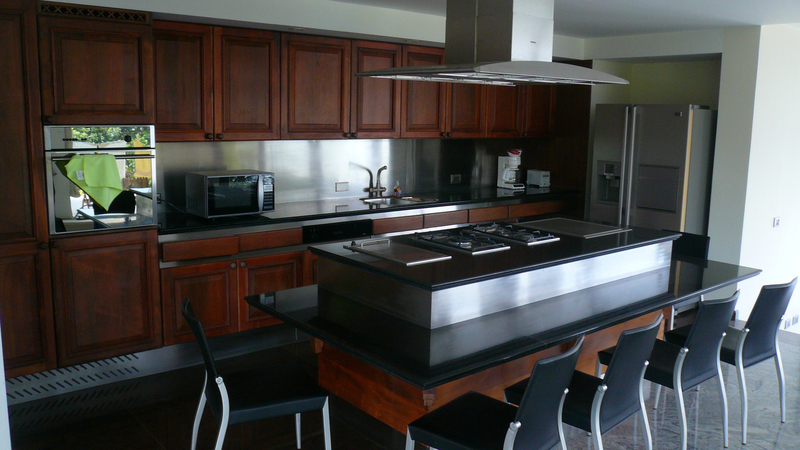 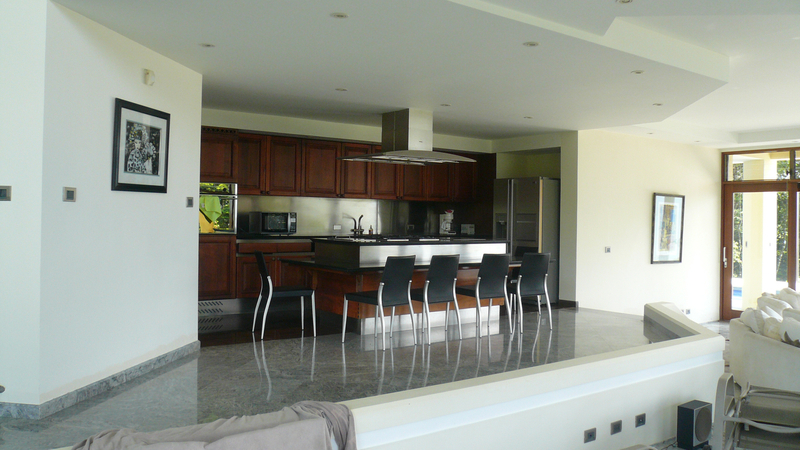 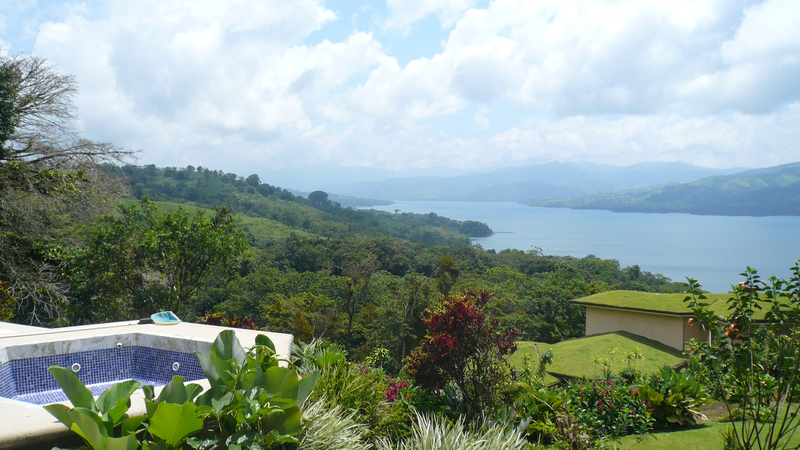 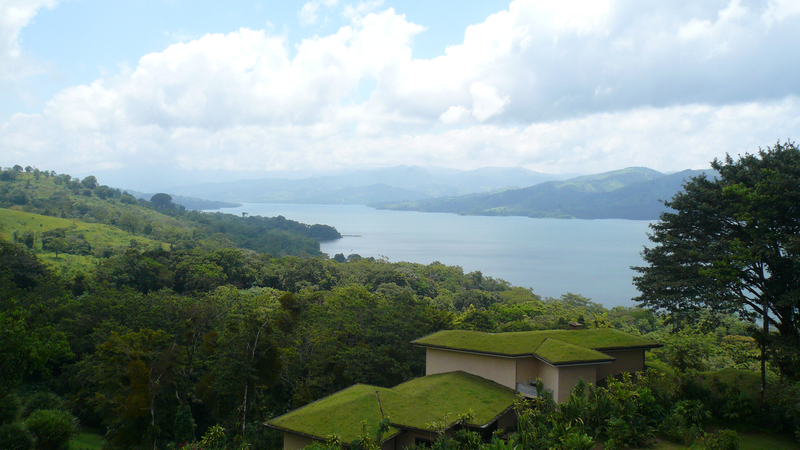 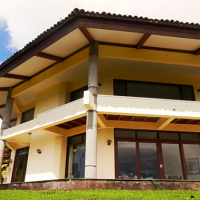 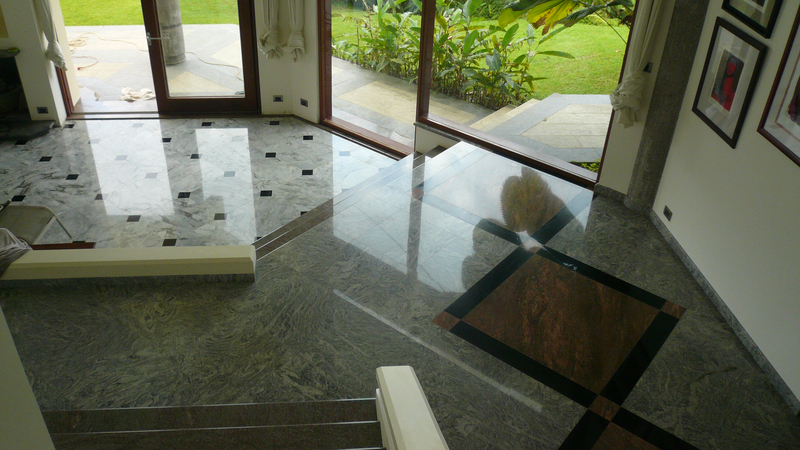 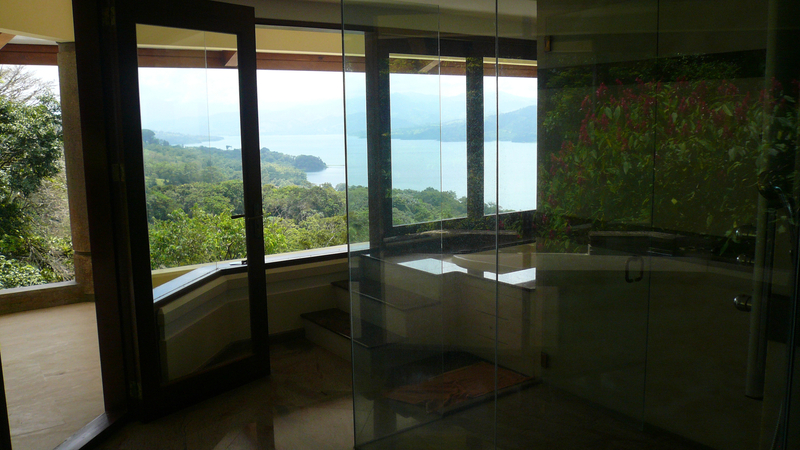 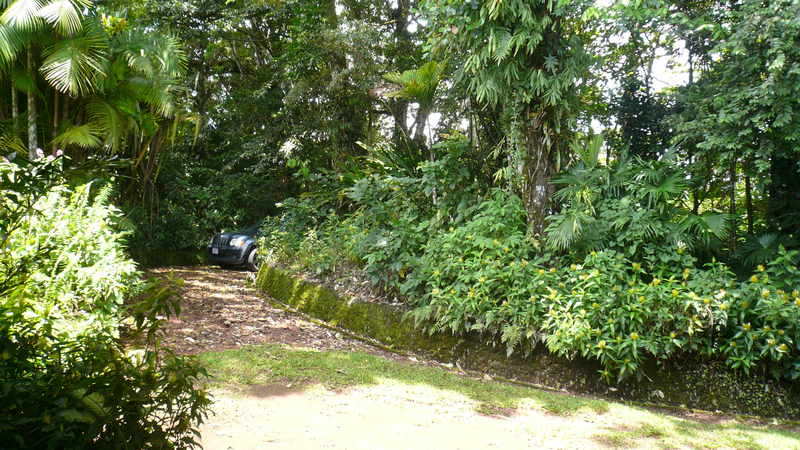 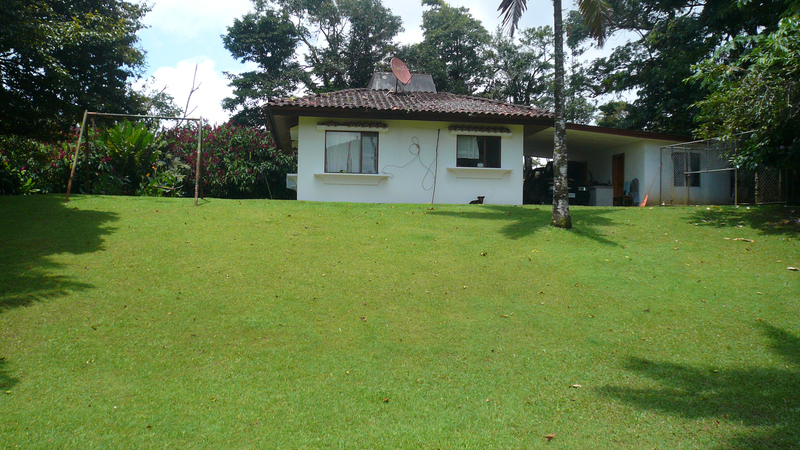 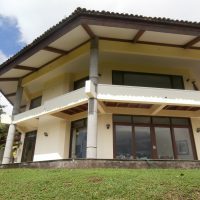 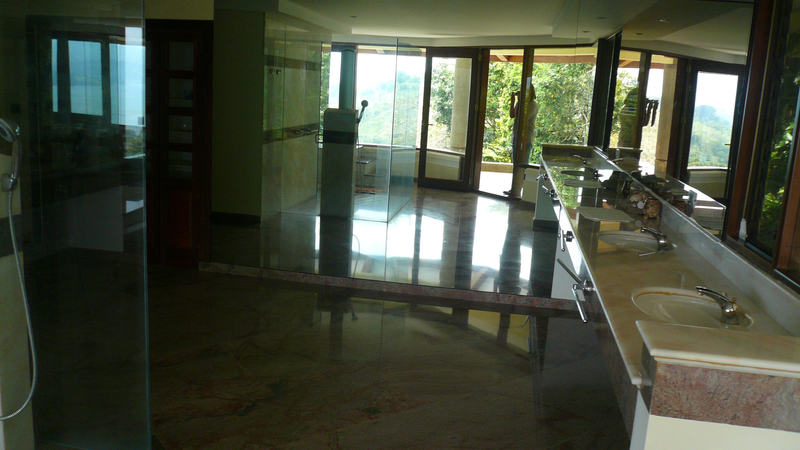 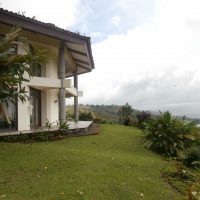 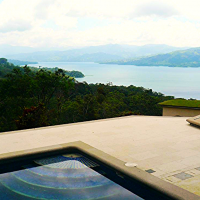 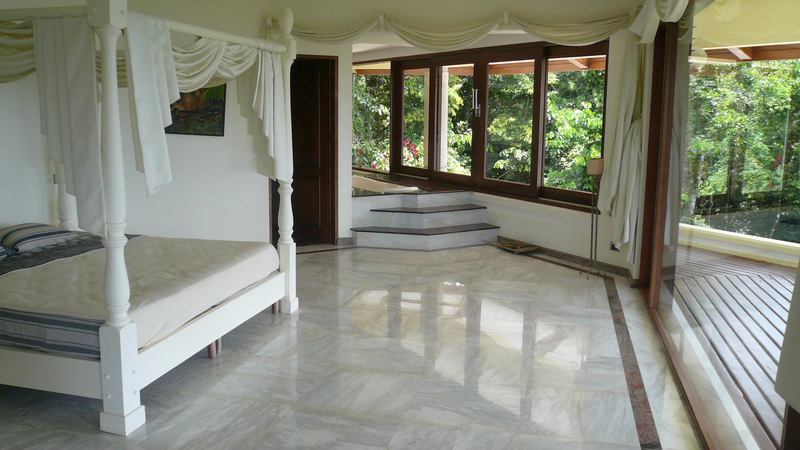 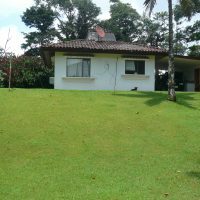 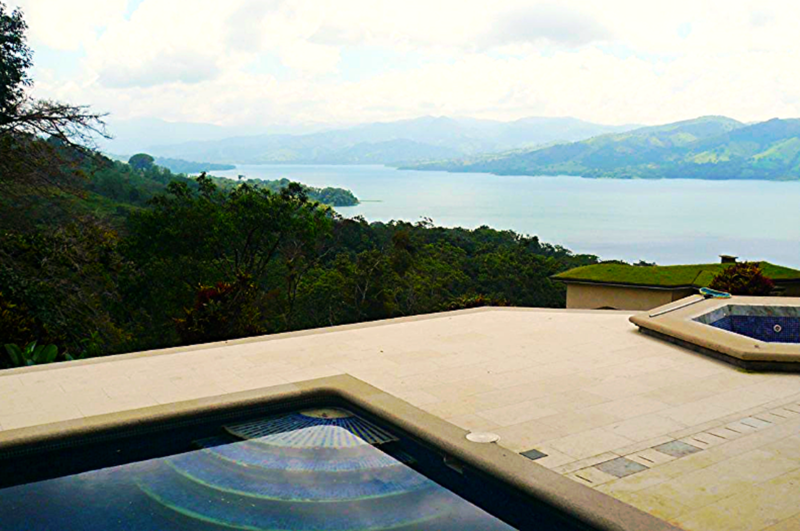 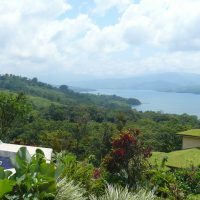 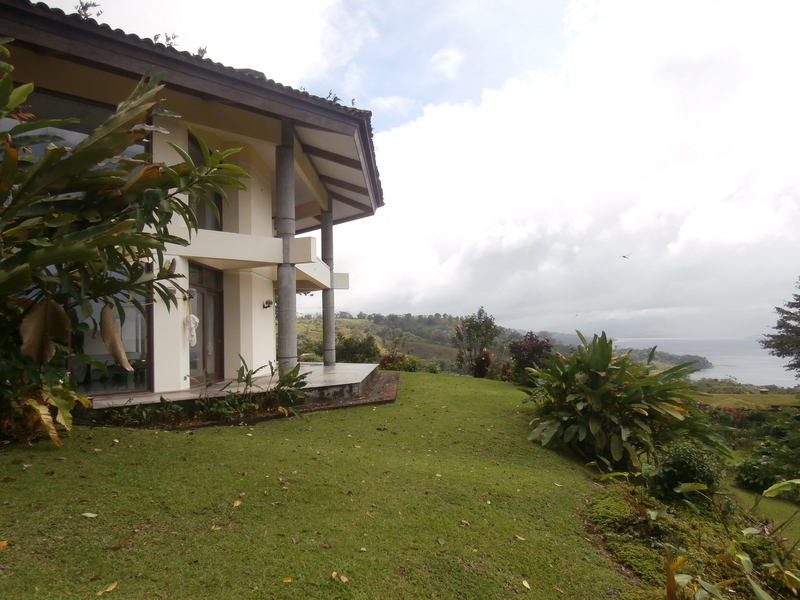 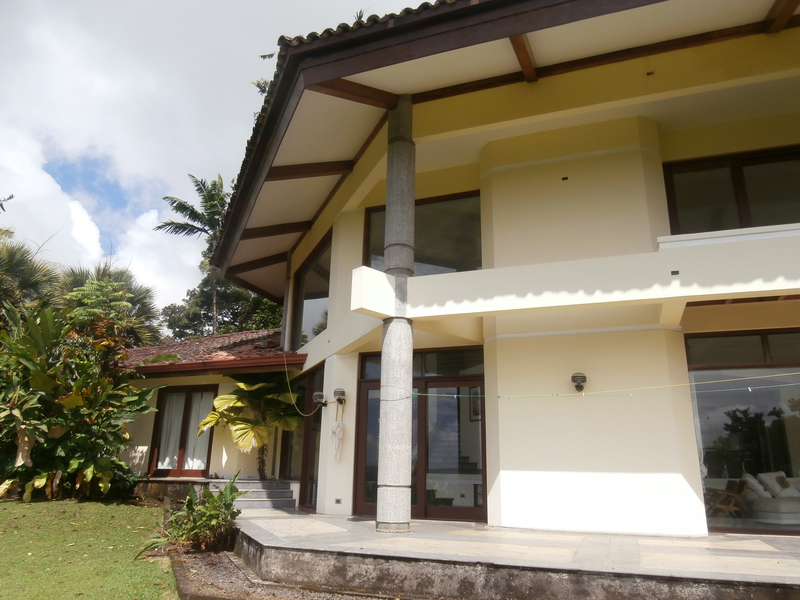 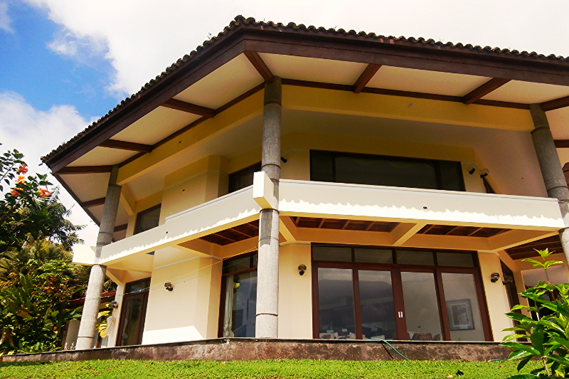 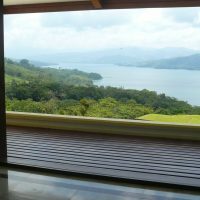 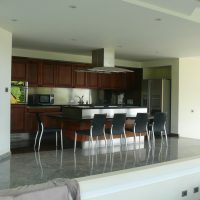 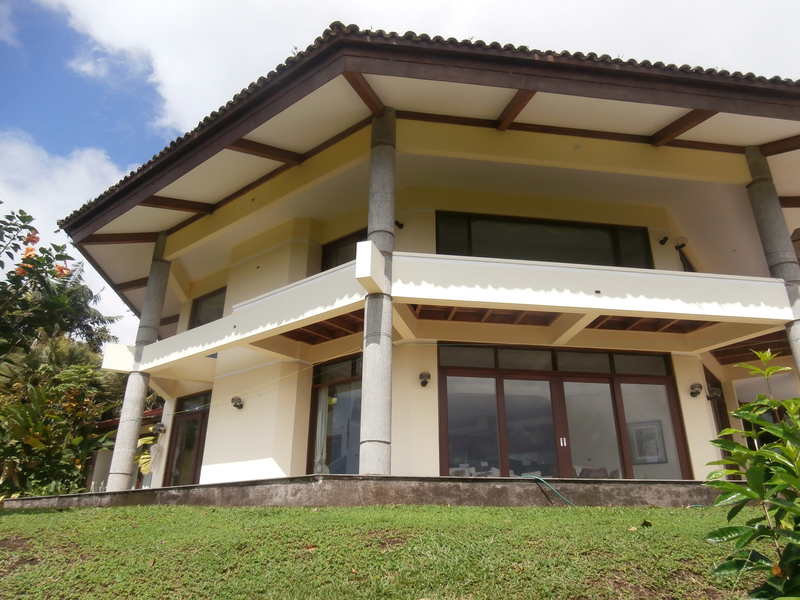 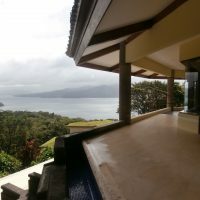 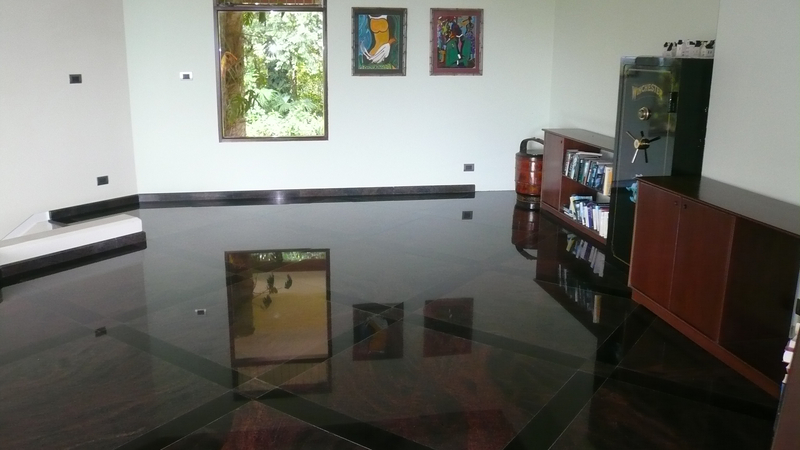 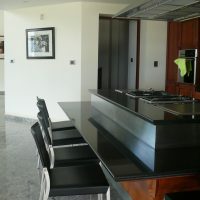 Upscale hill top villa with breathtaking view at Lake Arenal. 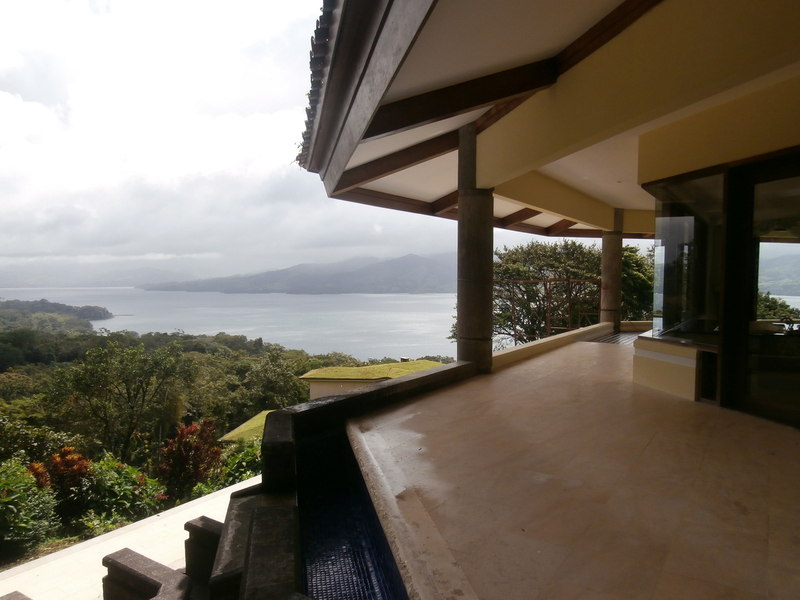 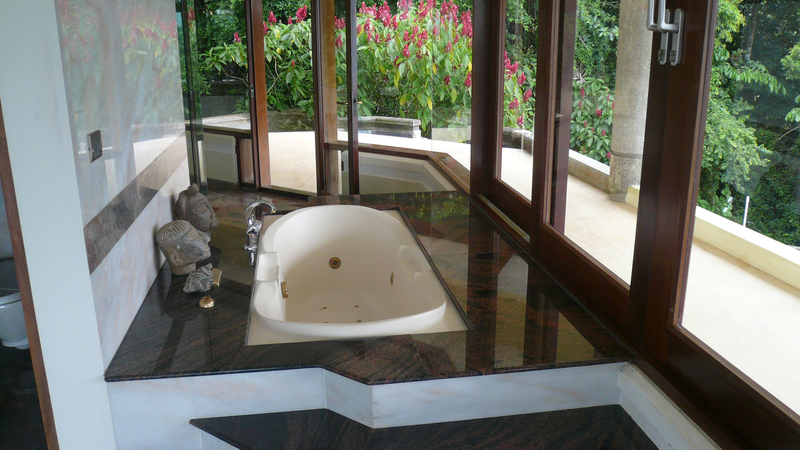 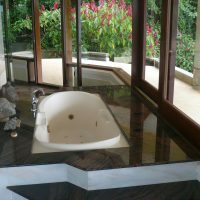 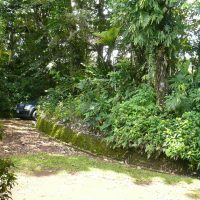 Located just a short drive from expat-favored town of Nuevo Arenal, this house is a true masterpiece. 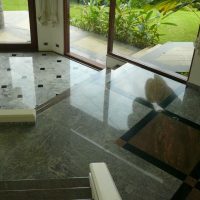 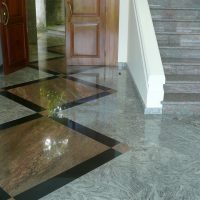 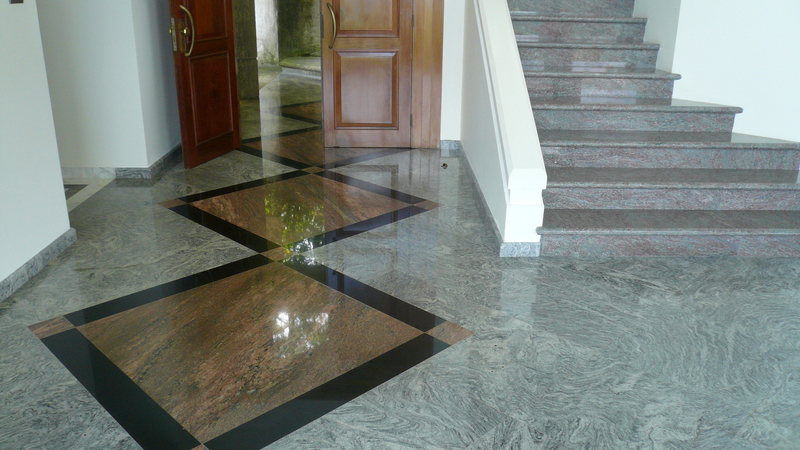 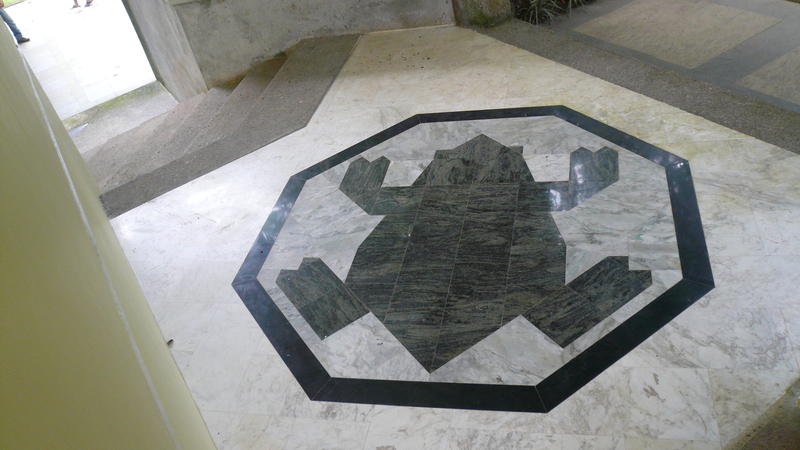 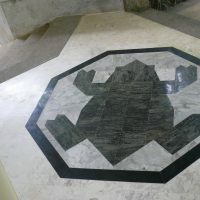 The main building is octagonal in shape and features luxury marble floor creating impressive colors and ornaments throughout the house. 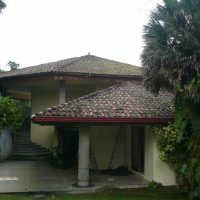 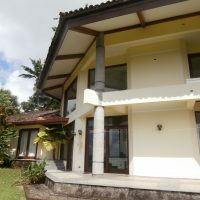 There are three bedrooms and three bathrooms in the main house, library, gourmet kitchen, swimming pool, indoor and outdoor jacuzzi, Villeroy and Bosch appliances, fireplace, windows, roof beams or floor decking made from tropical hard wood such as christobal, Spanish clay tiles covering the roof … and more. 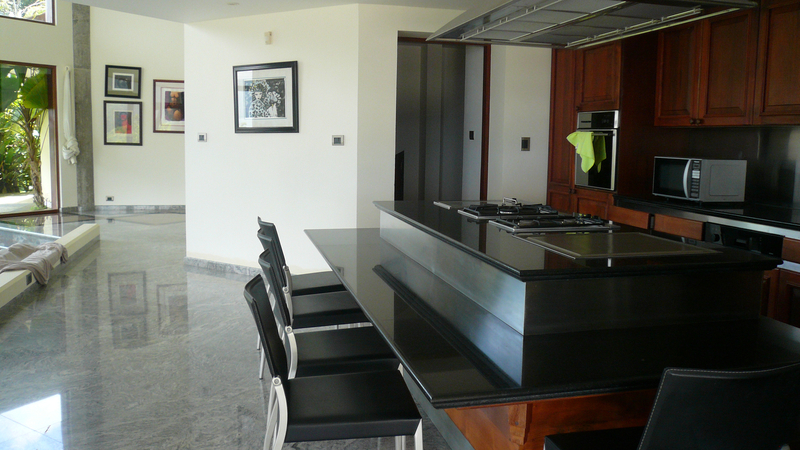 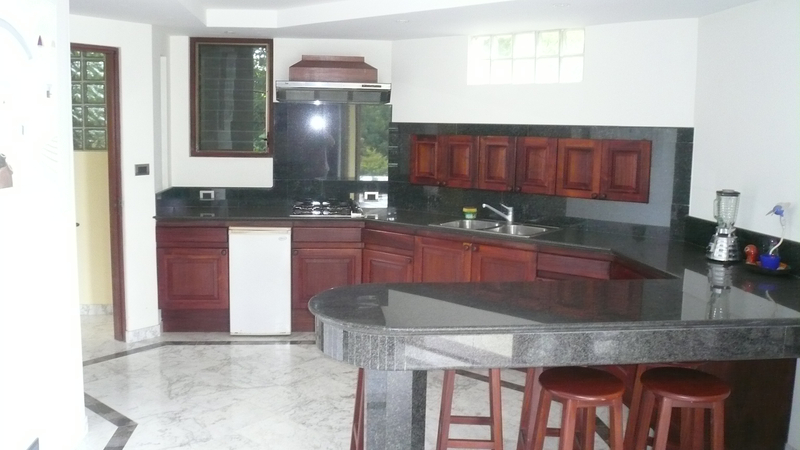 One bed, one bath apartment has full kitchen and independent entrance. 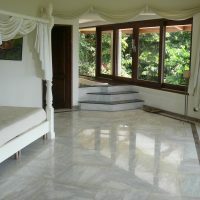 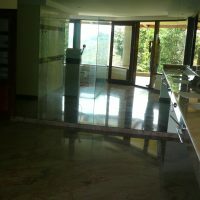 The second building can be used as a guest house and features two bedrooms and one bathroom.